The Intersections & Beyond: Watch a PETA play on August 30: Pay only what you can! Watch a PETA play on August 30: Pay only what you can! For the opening of its flagship project on Children's Rights, PETA is opening a PAY-WHAT-YOU CAN offer for the first 100 reservations for both its 10am and 3pm show on August 30 of Ismail at Isabel. 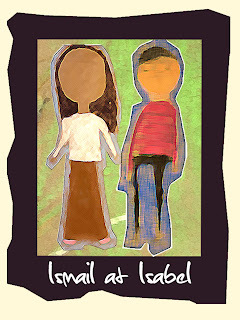 Ismail at Isabel is a lyrical and melodic story that will forever change our view of the children of the streets. The narrative focuses on two children, Ismail at Isabel, a Christian and a Muslim who once lived in a village where Muslims and Christians lived harmoniously. Eventually shattered by war and violence they become refugees and get separated in the bustling city. Their only hope is to tell and re-tell stories and folktales ts at their parents once told them and to after all, find a place where peace reigns over people’s differences. Ismail at Isabel is written by Rody Vera and directed by Maribel Legarda. Performances are slated for August 28 to October 4, 2009 at the PETA Theater Center. For more information, contact PETA Marketing at (632)4100821 or (632) 7256244 or +63917-8044428.